Enjoying a Aperol spritz in Siena on a day in the Tuscan sun. May 2012. OOoh, that brings back memories!! I love sitting out at a table on the street, people watching, sipping at a cappuccino. I love Italy! BTW, thanks for the follow! 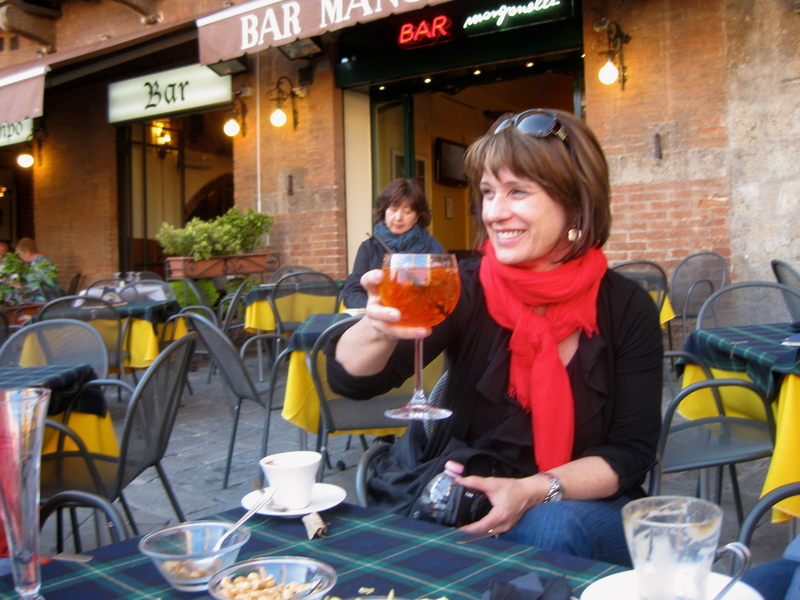 Hi Emily… the Spritz was new for me too – had my first one last year in Siena. Great summer cocktail! Salute!! thank you for visiting my blog and cheers from (near) Rome.